Hope you've all had a great weekend? I must admit I was a little upset when I woke up to no snow, especially as I'm now equipped with a pair of new cute walking boots! Tonight's post is going to follow a similar theme to my '6 Blogger Apps You Need For 2016' which was really successful. I was honestly so happy to see that post do so well, as I'm often put off by stepping outside my comfort zone. I've had a few other requests for these types of posts, so I'm going to try and stagger them throughout the year. 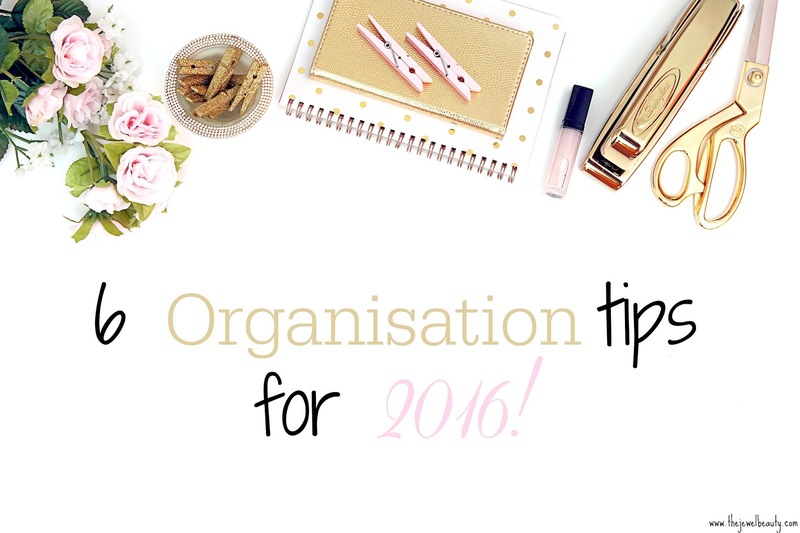 Today's post is going to be focused on organisation tips, which I'm hoping will be useful. I'm by no means miss super organised, but there are a few tips that have helped me along the way both with my blog and at work... plus there's an exciting giveaway below! I've collaborated with The Bloggers Planner, who honestly make the most beautiful blogger planners and notebooks! If you haven't heard of them then make sure you check them out and also don't forget to enter my giveaway for a chance to win a personalised a6 to do notebook, which is the perfect handbag size! I would love to hear your thoughts on this post, so please leave your comments and links below. I'm sure most of us remember a time where we tried to take a billion things on at once (I sure do) but a great way to get and also to feel more organised is by writing a good old 'To Do List' and prioritising one thing at a time, it will definitely cut out some chaos! This is something I've learnt from work! Where possible tackle your toughest task first, as this will give you a far more positive outlook on the rest of the day, opposed to making the day seem like an uphill struggle. Sometimes the hardest thing to overcome is the battle you have with your mind, as it's very easy to feel overwhelmed by a list of hard tasks! Naturally, there will be times where you feel uber creative and could easily get three blog posts written up (as an example) 100% utilise this time, as you will be thankful when you're having a bit of a lull. The same for work and at home... sometimes 15 minutes can be more productive than an hour! I honestly don't think anything will ever beat a good old to do list! Not everyone gets along with planners, but a simple notepad, or desk organiser can easily do the trick when it comes to feeling more organised. The satisfaction of ticking something off your list is always rewarding! I'm super excited to be able to offer one of my amazing readers the chance to win a super cute To Do List Notebook by The Bloggers Planner (See exact notebook here) You will be able to customise the front page and it will definitely help you to up your Organisation game in 2016 - Good Luck! I hope you have enjoyed this post my loves! Have a fantastic week and good luck to all who enter the competition! 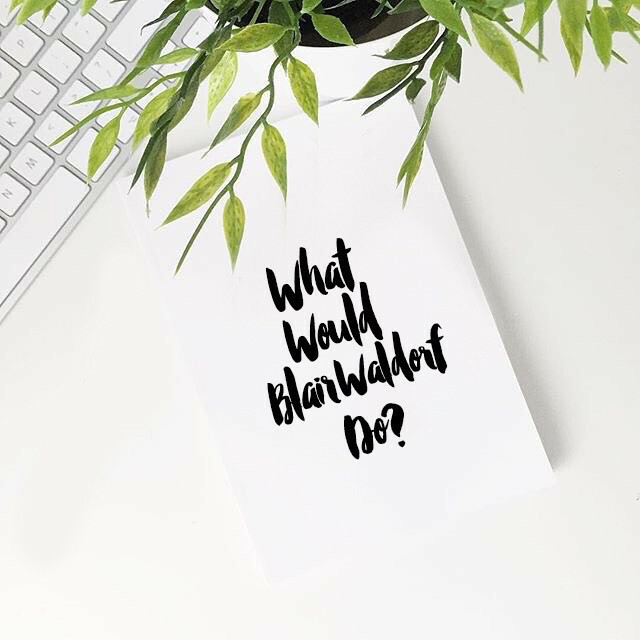 I have to say I'd agree with you on making a to do list, that's probably my biggest tip to getting things done and staying organised because I actually feel like I've accomplished things when I see how much I've crossed off my list! These tips are great! Especially the one about staying hydratied... that's something I always forget to do. Even today I've most drank caffeine and I'm now sat with a horrible headache. Can't wait to see more of these types of posts! Im the same with to-do lists, i couldn't live without them! You're right when you say that taking a break is so important! That is something that I'm quickly learning myself. I think that both staying tidy and making lists help to boost productivity for myself as well! I absolutely love making to-do lists, I also agree that you should always start with the hardest thing first! If you complete the hardest task first it gets a huge weight off your shoulder and you become more relaxed to complete the rest of your to-do list. Use a planner, set yourself goals and realistic time frames to do things in.